FMITK x AllRecipes: Mini Twice Baked Potatoes! Hi Friends of FMITK! Need a cute holiday appetizer idea? 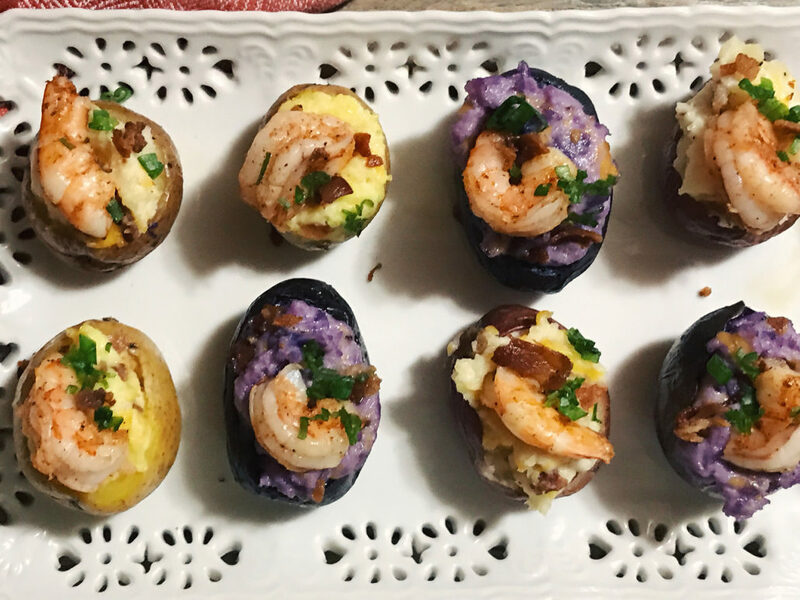 How about these twice-baked shrimp stuffed mini potatoes? They’re kind of like a deviled egg and a twice-baked potato and a cute little baby and then you topped that baby’s head with a piece of perfectly grilled shrimp. Watch me make these LIVE today, Thursday 12/8 at 2PM PST on AllRecipe’s Facebook Live broadcast! Make sure to follow FMITK and AllRecipes on Facebook so you don’t miss it! https://www.fmitk.com/wp-content/uploads/2016/12/IMG_6685-3.jpg 1350 1800 holly http://www.fmitk.com/wp-content/uploads/2013/09/fmitk_logo_grey3.png holly2016-12-08 08:14:352016-12-08 08:14:35FMITK x AllRecipes: Mini Twice Baked Potatoes!